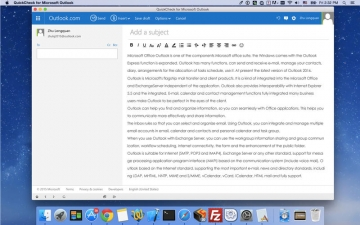 [値下げ] App for Outlook - App with Menu Bar or Window Experience | Mac App Storeのアプリ検索・ランキング BuzzMac! 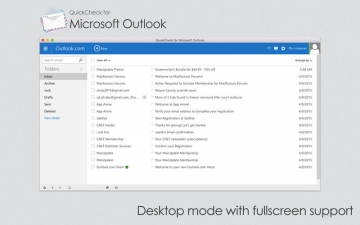 App for OUTLOOK that gives you fast and instant access to Outlook, Hotmail and/or Live mail directly from your toolbar. Keep up to date with your mail faster than ever. App for OUTLOOK is the ideal app for instantly accessing your Outlook email accounts (including Hotmail) without having to open your web browser. 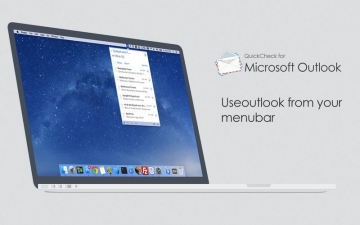 Just click the App for OUTLOOK icon in your toolbar and sign it with your Outlook/Hotmail/Live account, its that simple. You can either run the app with a dock icon or without. After downloading, simply click on the icon in the top menu bar whenever you want to check your email account and you will be presented with a beautiful little window containing a mobile interface. It allows you to overcome email overload by increasing the speed at which you can access and respond to your emails. - App for OUTLOOK is a 3rd party application for Outlook and is in no way endorsed or affiliated with Microsoft Corporation. Legal Note: App for Outlook is a 3rd party app and is not affiliated with Microsoft what so ever. Outlook & Hotmail and its logo is trademarkes of Microsoft Inc.